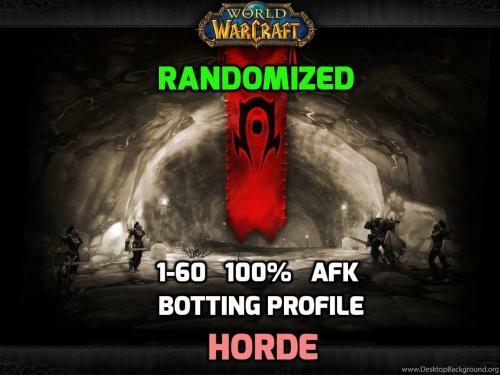 I am Happy to Announce the Official Release of "Horde 1-60 Randomized Quester, and 1-60 Horde Randomized Grinder"
After purchasing, please allow up to 5-10 minutes for the Auth Server to register your "Rocketr ID"
Each time the bot is started, it will check my server for the latest encrypt code and automatically download it to your profile so you no longer have to go and click the rocketr link over and over each time i make an update! As with any profile, expect issues. 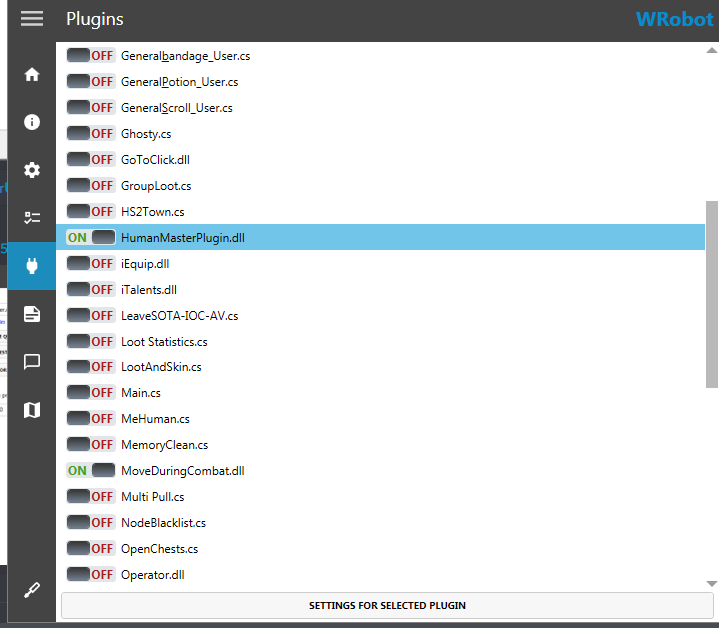 Mainly issues i have seen come from Other plugins mixing with my code. This tends to happen, not your fault. You can do the Following to troubleshoot the issue, and if it continues contact me via discord. Did you re-buy, or change your Wrobot License key? YES? Contact me Asap. You will need a new rocketr Key. Did you start Wrobot.exe with One ip, and then re-start it with Another IP? YES? Wait it out. If you need multiple licenses ive offered this to many others before who wish to say "Bot on 2 different computers. NO? Contact me for more help. Easy fix. Restart your WRobot. This error happens because you changed an INGAME setting (windows mode. Screen size. etc) and did not restart wrobot. Usually an indicator that you are trying to load a Quester profile as a Grinder. Or your profile was corrupted upon download. Re-download the profile. Your profile should be 39bytes, sometimes rocketr doesnt update Immediatly after an update and gives you a 0kb file. If the problem still presists, make sure you have "QUESTER" Selected as your " Bot Type ". If none of thoes work, contact @Andoido @Droidz@Bambo@Matenia for a more complete troubleshooting. Steps 1 and 2 should fix it however. Buyers may only run up to 10 instances at one time per Computer. Using the same Rocketr ID on more than one Wrobot Key can result in a temp ban. If you need more than 10 instances of this profile running at any given time, send me an E-Mail and we can setup a special discount rate. All buyers must manually update by re-downloading the profile on Rocketr. The file will be updated/re-downloaded via the E-Mail sent upon purchase of the profile. Buyers should get on my Discord channel to see when I release an update. In a nutshell, Randomized simply means just that. The bot will do quests every level bracket and then go grind the rest out. When he does grind it will Randomly select one of the grinding locations making this method superior in many ways but mainly to not be banned. Match that with the huge grinding paths I have and you're set for success. 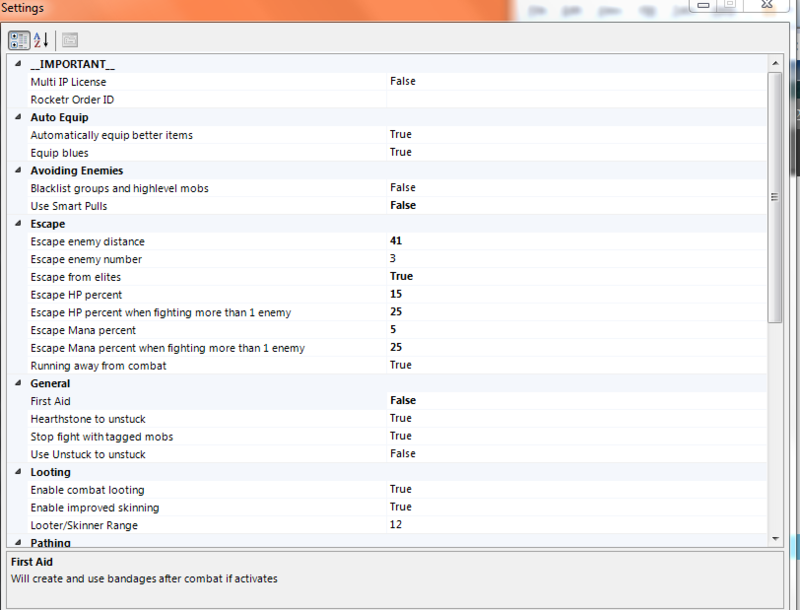 The profile will randomly select a grinding location each time you start the bot. So there is no guarantee you will continue grinding in the same spot if you stop the bot. Future Updates will be AUTOMATIC Very Soon! A new technique was used in this profile, for quests that give KEY gear and Weapons. The bot will do the beginning quests in the chain (Even if they are Grey) in order to achieve the final quest. If you are level 29 for example, and buy the profile and start for the first time, no doubt the bot will do many other quests. But a main quest in Stonetalon for example, has 8 pre-requisite quests starting in Ratchet. The bot will do every single quest (even the grey ones) in order to get this final quest which rewards a huge upgrade for the bot. Randomized Timer! - Each time the bot grinds, it will Re-Select a grind spot every X minutes! This is going to prevent bans and groups of botters! All class quests up to level 60. New code to detect if you have a certain pet spell. Auto detection of weather the bot has bought the custom Vendor Weapon or not. Bot will Bind his Hearthstone. 100% AFK Botting - There should be no need to check or uncheck quests. On-Screen chat messages to emphasize important events, this was added for you (the buyer's) benefit. Undead + Tauren + Orc/Troll starting zones included. Tons of Blacklisted areas and mobs to prevent dying. Automatic buying of Weapons at 7, 13, 16, 21, 30 etc. Bot will buy all warlock books and use them. Bot will buy items off Vendors for Quests. Automatic level detection. The bot will see what level you are, and start the bot on that level ranges quests. Undercity and Orgrimmar Weapons Master training at level 10-11. Automatic buying of Skinning Knife. 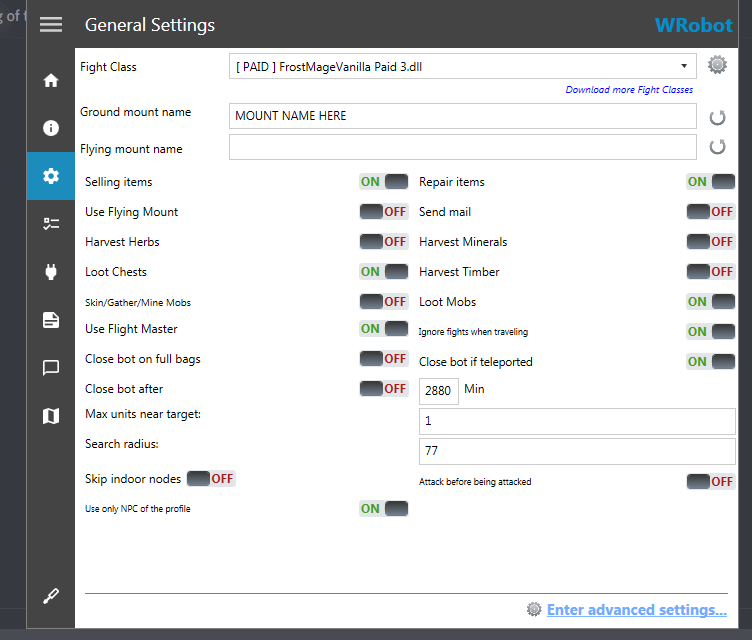 Custom Wrobot Settings modification + "Do Not Sell" list upon starting the bot, or reaching a specific level. 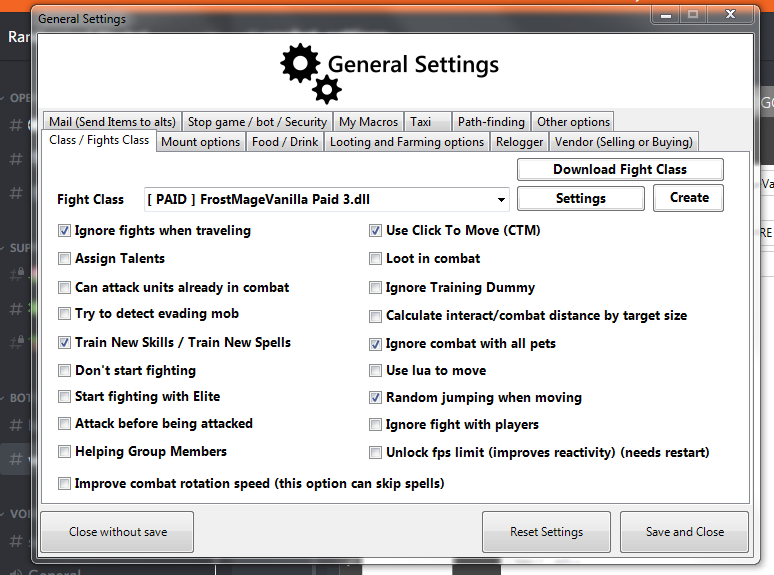 Bot will Automatically turn on Skinning and turn off Ninja Skinning each time you start the bot. Bot will learn First Aid. Bot will Auto-Train skinning throughout the profile. Huge grinding hotspot list to prevent bot trains and bans. 85% of quests have a secondary redundancy to make sure the quest gets completed correctly. Improved loading time's with more "If" statements. Custom pathing on long journey's and quests to prevent dying. Add several new grinding locations for specific levels, so its not all same zone. 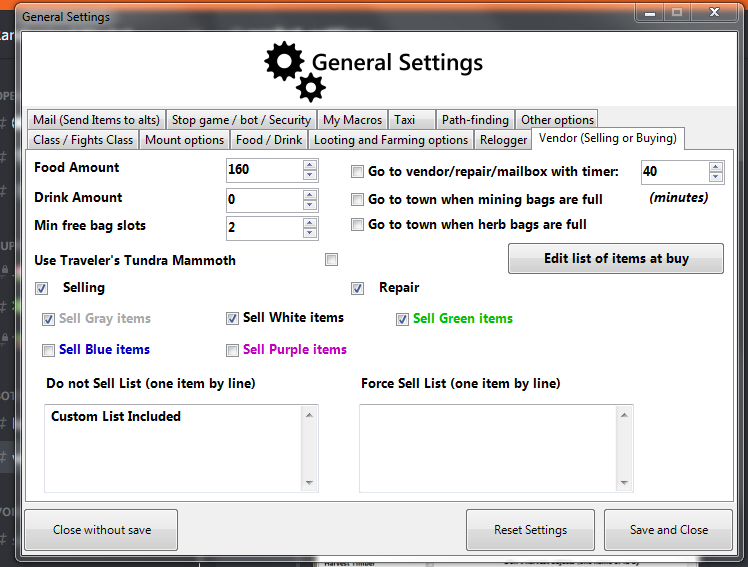 Force warlock to buy more books, clear up code so it auto checks without having to make several IF statments. Add more code to buy weapons at higher levels. Possibly add vendor support for Armor. Blacklist more groups of mobs in the zones we are grinding. Human Master Plugin by Matenia - This is my #1 most recommended plugin for ANY bot user. This thing has so much functionality and usage i cant even list it. 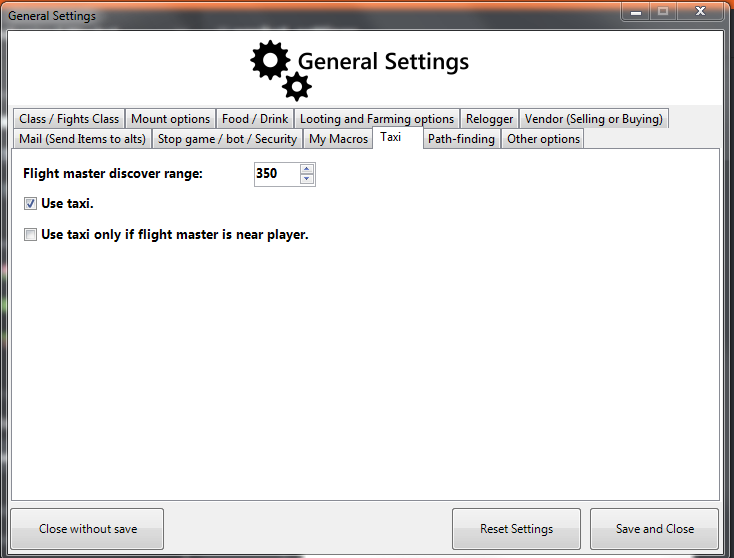 Vanilla Flight Master - ALLIANCE by FNV - Again, highly recommended because it saves you so much time. Auto Pet Feeder (Hunters) - Requried for any hunter, will feed your pet. 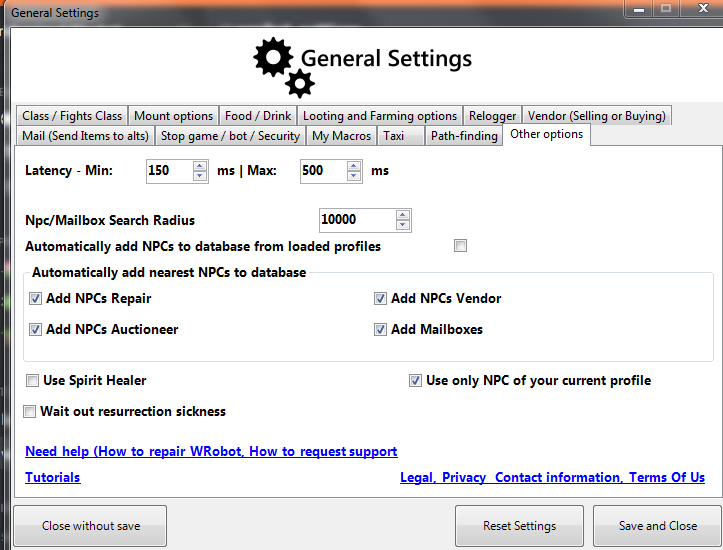 Place the profile .xml inside of the " Wrobot / Profiles / Quester " Folder. 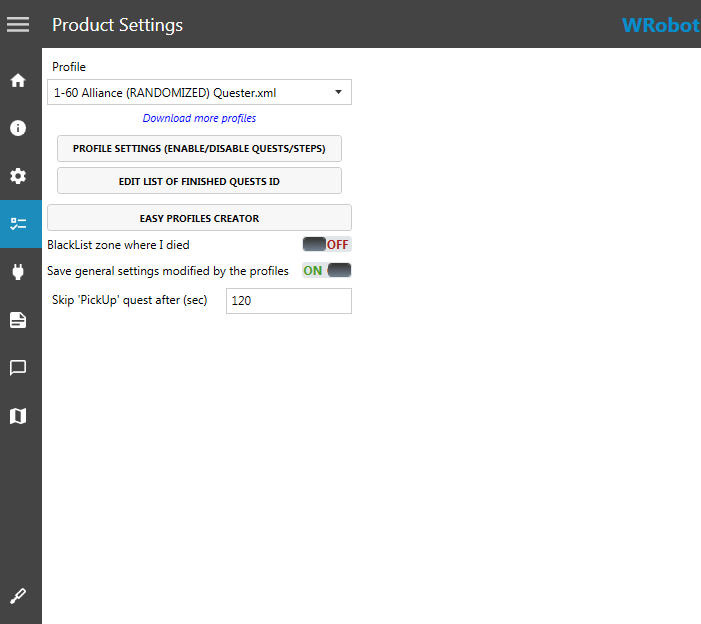 Select Quester Bot , in wrobot. 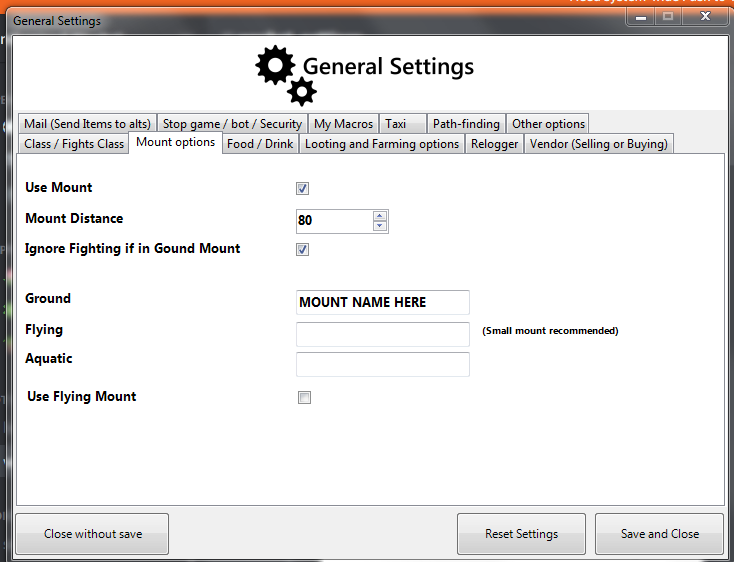 Select the profile in the drop-down menu. I would like to thank @eeny I used some of your druid bear form code. I also used your class quest quest order from your NE 1-12. (level 1 quests). Thank you @Matenia For helping me setup the profile here on the forums. And thank you @Droidz for helping with some of the code I was confused on. 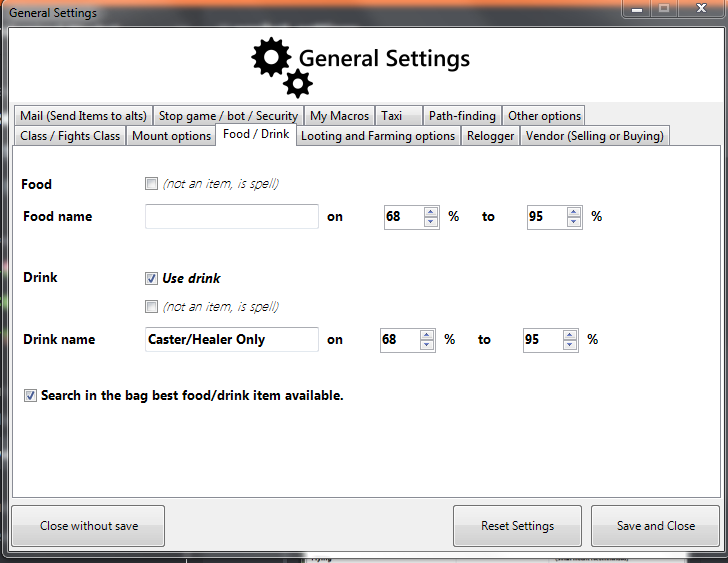 Has helped me implement a new Timer to the profile which will auto re-select a grind spot every x minutes. he has also helped me set some of the bugs out right so you have a fluid profile! Hes a sweetheart. @bambo - Thanks for helping with the updater code! and Auth Server! Plan to remove ALL on screen code, and require "Whats Going On" Plugin in next patch. There was a bit more done but im spaceing it. A good "Grinder" is simple and clear, if you have any questions, write Andoido in the discord. What can I say, don't bother with free profiles, you'll just end up buying this anyway. Everything about this profile and the author is legendary. Follow the instructions and let it get on with itself, just don't get greedy and run it 24 hours a day! It's not going to play the game how you would, it won't do all the quests you would, but it will free up your life so trust the profile and enjoy pain free levelling. A special mention goes for the technical support I got when I had a little issue with my authentication that ended up totally being my fault! (Don't try to bot wow whilst connected to a corporate VPN where your work firewall blocks connections to authentication servers!). The profile runs quests flawlessly and efficiently. I had an issue with it at one point, and the developer pushed an update fixing the issue within minutes of me contacting him. Could not ask for better support and dedication, totally worth the money! 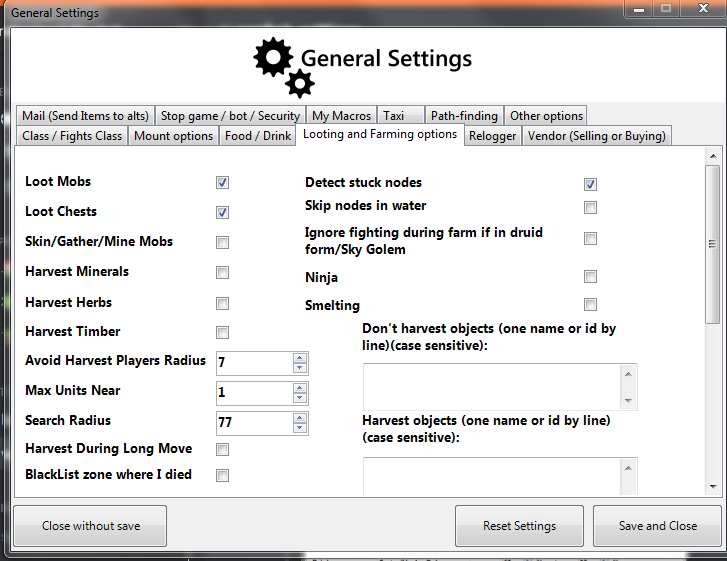 Overall a great profile, the bot will do lots of quests flawlessly, and grinding is very efficient too. The creator is enthusiastic and helped me quite a lot during setting. Definite worth the money. Looking forward to next TBC quester profile! Hands down, this is the best leveling profile for vanilla period. If you want to get 60 easily, this is the profile for you. Worth every dollar spent and the creator (Andoido), is the most helpful creator I've ever talked to. I had a problem with a different profile a while back, and he went out of his way to help me fix my whole wrobot and other things required to help it run right. 5/5 no question. This is a great profile. It does all necessary class quests, does quite a bit of questing before level 25 and takes care of skinning as well as first aid. I think it's definitely worth its money and I'm giving it 5 stars, but I also want to include some useful information in this review regarding the profile. It does buy weapons for casters, which is completely unnecessary and actually quite annoying/waste of gold (for TBC, especially at x2 it's really annoying). Once you leave the 20s and enter the 30s, it really only does 5-10 quests between grinding another 4 levels (sometimes in the same zone, but everything is also randomized!). You end up with a lot of quests in your quest log that it could have done and a lot of quests in the zones that you should have done. Easy kill and gathering quests that could be worked in to break up the grind. There is a lot more work to be done on this, imo, but I know first hand how much time it takes to do all the quests, all the testing and optimize a botting/leveling route. It's just something that happens over time. We saw this, when FNV barely updated the 40-50 part of his quester, because 1-40 needed so much work (re)done. I'm very happy with this profile as is - but it is essentially a grinder. You can absolutely, 100% AFK this 1-60 and your character will learn all the spells necessary, because all class quests are taken care of. I have not uploaded a new version just yet. As i am about to release a PAID version tonight or tomarrow. Thanks for your input! This was actually fixed a few days ago. I had an issue with this profile and a subsequent disagreement with it's author. That said, I have since been refunded. Andoido works hard on these profiles and it's not an easy task; given the limited subscriber base, to get issues fixed quickly. But he is helpful and will try to fix any problems you experience either with wRobot or with his profiles. I was initially very interested in trying this out, I'd watched some of his livestreams when I could, and you can see there's a lot of work and effort behind this. It still feels like it's in beta, there are teething problems but I'm sure Andoido will get around to sorting them quickly as and when he is able. If you're looking for something just to click and go, you may be better off with his grinding Profiles (which work well). I'm hoping he gets around to releasing an Alliance questing Profile, I would 100% buy from him again. Your issue was a simple fix. and if you would have been patient i would have solved dthe problem. What angered me was how you disrespected me once i asked you for the 3rd time . Anyway. If you want a refund man - edit your comment. These reviews are meant to help sell my profile, and seeming as you only tested to level 7 and kicked the bucket i think it doesnt count. I will reufnd the money once you remove the negativity from your post, idc if you speak your mind just dont make it personal you know? And i do apologize for being aggressive. And i banned you, because you disrespected me at every corner.